Griffin Internet Syndicate, October 16, 2001 – This is a season of patriotism, but also of something that is easily mistaken for patriotism; namely, nationalism. The difference is vital. While patriotism is a form of affection, nationalism, it has often been said, is grounded in resentment and rivalry; it’s often defined by its enemies and traitors, real or supposed. It is militant by nature, and its typical style is belligerent. Patriotism, by contrast, is peaceful until forced to fight. This is nationalism, not patriotism. Patriotism is like family love. You love your family just for being your family, not for being “the greatest family on earth” (whatever that might mean) or for being “better” than other families. You don’t feel threatened when other people love their families the same way. On the contrary, you respect their love, and you take comfort in knowing they respect yours. You don’t feel your family is enhanced by feuding with other families. The patriot differs from the nationalist in this respect too: he can laugh at his country, the way members of a family can laugh at each other’s foibles. Affection takes for granted the imperfection of those it loves; the patriotic Irishman thinks Ireland is hilarious, whereas the Irish nationalist sees nothing to laugh about. The nationalist has to prove his country is always right. He reduces his country to an idea, a perfect abstraction, rather than a mere home. He may even find the patriot’s irreverent humor annoying. Patriotism is relaxed. Nationalism is rigid. The patriot may loyally defend his country even when he knows it’s wrong; the nationalist has to insist that he defends his country not because it’s his, but because it’s right. As if he would have defended it even if he hadn’t been born to it! The nationalist talks as if he just “happens,” by sheer accident, to have been a native of the greatest country on earth — in contrast to, say, the pitiful Belgian or Brazilian. Patriotism is relaxed. Nationalism is rigid. The patriot may loyally defend his country even when he knows it’s wrong; the nationalist has to insist that he defends his country not because it’s his, but because it’s right. When it comes to war, the patriot realizes that the rest of the world can’t be turned into America, because his America is something specific and particular — the memories and traditions that can no more be transplanted than the mountains and the prairies. He seeks only contentment at home, and he is quick to compromise with an enemy. He wants his country to be just strong enough to defend itself. But the nationalist, who identifies America with abstractions like freedom and democracy, may think it’s precisely America’s mission to spread those abstractions around the world — to impose them by force, if necessary. In his mind, those abstractions are universal ideals, and they can never be truly “safe” until they exist, unchallenged, everywhere; the world must be made “safe for democracy” by “a war to end all wars.” We still hear versions of these Wilsonian themes. Any country that refuses to Americanize is “anti-American” — or a “rogue nation.” For the nationalist, war is a welcome opportunity to change the world. This is a recipe for endless war. In a time of war hysteria, the outraged patriot, feeling his country under attack, may succumb to the seductions of nationalism. This is the danger we face now. 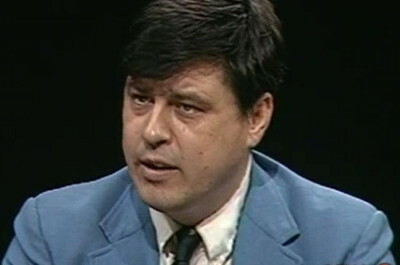 “Patriotism or Nationalism?” by Joe Sobran was published originally by Griffin Internet Syndicate on October 16, 2001. Or call 1-877-726-0058 to donate by phone.